Are You NEW INC Material? Experimentation in art, design, and technology is just the half of it. Jojo Abot (Current NEW INC Member). Courtesy Amaal Said. On the occasion of NEW INC's fourth annual Open Call, we decided to take a closer look at the types of candidates that thrive here at the New Museum's incubator for art, design, and technology. 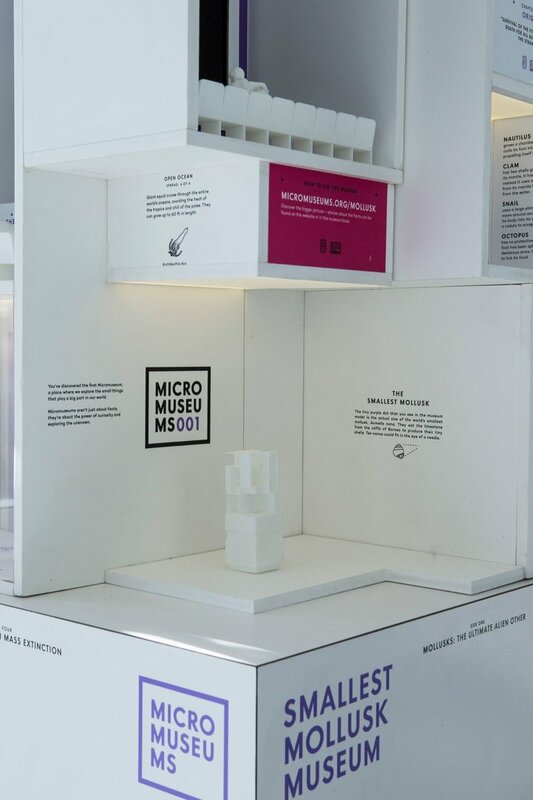 Detail of Micro's Smallest Mollusk Museum (2016). Courtesy Micro (Current NEW INC Member). From art collective Hyphen-Labs, which dazzled at Sundance this year with their virtual reality project NeuroSpeculative AfroFeminism, to Micro, a two-person team building “museum[s] small enough to go anywhere," NEW INC's current cohort of members are invested in myriad projects that take our shared mission of creating "cultural value" seriously. To this end, ideas both big and small at the intersections of art, design, and/or technology are welcome. Takeaway: If your work marries art, design, and/or technology towards a social good, you can bet we're interested. Courtesy Print All Over Me (Alumni). NEW INC members, and the practices they keep, span the full creative spectrum, crossing boundaries in ways that are, more often than not, almost always experimental. These range from current residents like HAWRAF INTL, a conceptual design collective that "thinks outside the box to solve problems," to VolvoxLabs, a studio that’s worked with musicians like Neon Indian to create multi-sensory concert experiences. Takeaway: If you don't know where you fit in the creative industry, you'll be right at home at NEW INC.
NEW INC boasts full-bodied, year-long programming and mentorship services that connect members to legal, accounting, PR, editorial, and financial experts who can help turn their ideas into bulletproof and fully-functioning realities. So whether they need advice on trademarks, contracts, copyright law, or even hiring practices, we'll have the resources to help them get answers. Takeaway: Simply put, NEW INC is the creative industry's LinkedIn on steroids. Thanks to the interdisciplinary characters NEW INC attracts, the space is populated by programmers, designers, educators, artists, musicians, entrepreneurs—you name it. Monthly gatherings, pep talks, and mentoring sessions bring our members in touch with a like-minded network of people, who can offer advice, opportunities, and even the occasional collaborative venture. Takeaway: The connections you make here will be your partners for life. 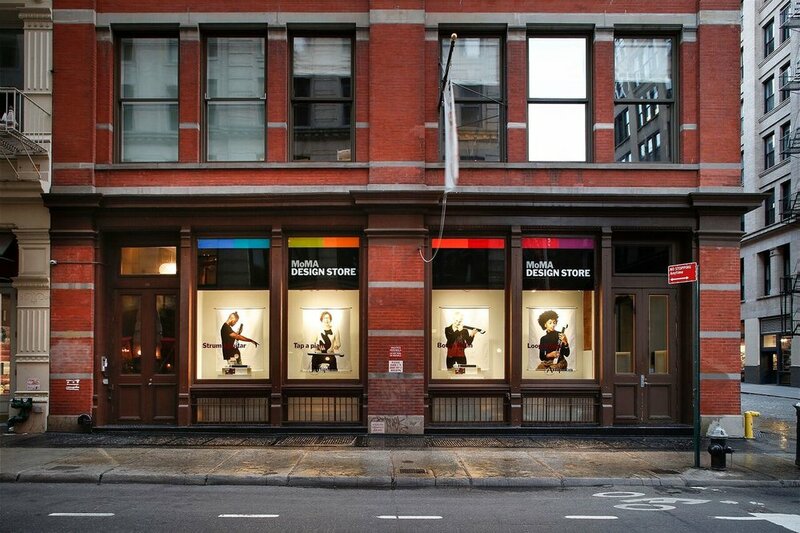 Artiphon advertises Instrument 1 on MoMA Design Store. Courtesy Jacob Gordon (Current NEW INC Member). And by differently, we mean responsibly. Takeaway: If you're committed to sustainable, ethical, and fair business practices, this is the place for you.